Unveiling a major investment drive to upgrade its long-haul business and premium economy class services, British Airways aims to reassert its transatlantic dominance and nibble away at the increasingly fierce competition. The changes will first be implemented on BA’s flagship London Heathrow to New York JFK route before being rolled out across the airline’s global network. BA is also working on the introduction of direct aisle access seats in its Club World – the airline’s business class. On the ground, British Airways is busy renovating its business lounges at Heathrow and Gatwick airports. The company’s premier travel facilities in the US are slated to undergo a £88m makeover. In order to lessen travel-related stress, BA now offers its Gold Executive Club members direct access to the First lounge in Heathrow Terminal 5 via The First Wing, which has a dedicated security channel. On board, BA is set to debut Europe’s first 4G inflight network and improved Wi-Fi connectivity. The airline aims to have 90% of its fleet equipped with high-speed Internet by 2019. Travellers may use their own devices to surf the web. Whilst BA’s corporate policy squarely states that the airline’s focus remains on premium passengers, the company has also introduced added-value services for price-conscious travellers. However, British Airways’ management assured that the company will decline to lower its service level to compete with low-cost carriers. The CFI.co judging panel commends BA on its dedication to excellence. 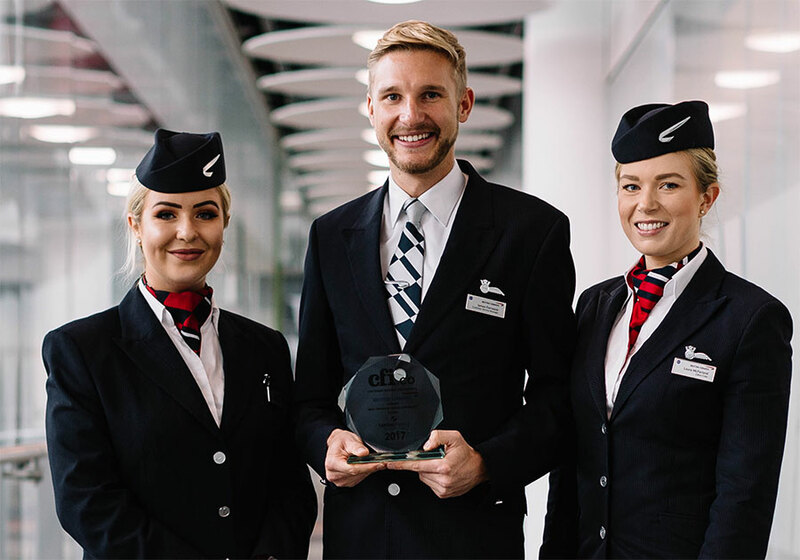 The judges are pleased to offer British Airways the 2017 Best premium Travel Experience Global Award.